There’s something special about visiting Europe during winter. No two places experience it quite the same way and a visit in winter often feels like you’re seeing a destination for the first time again. Unlike other seasons, winter can completely transform a place and create a visiting experience that you just can’t get at other times of the year. The short days and the snow provide the opportunity to enjoy winter sports or activities like searching for the northern lights. Alternatively, winter brings with it some important dates and celebrations, like Christmas and New Year’s Eve. These festivities allow local culture and traditions to shine through, showing you a side of a place you’d never otherwise see. 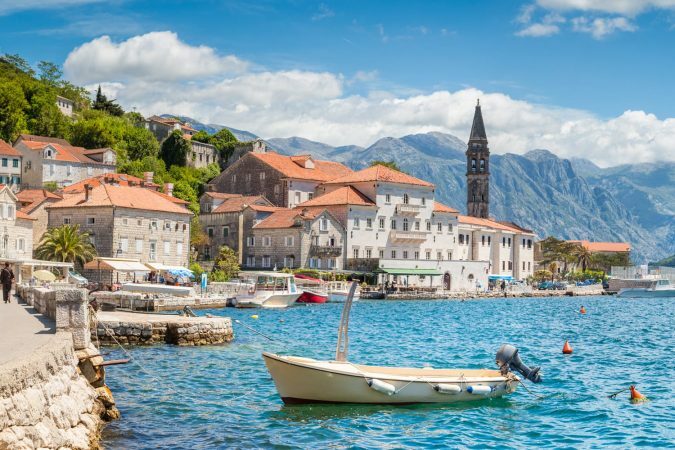 Not every destination is suited to winter, but for those that are, there’s unlikely to be a better time to visit. Let’s take a look at the best winter destinations in Europe and what makes each so special. 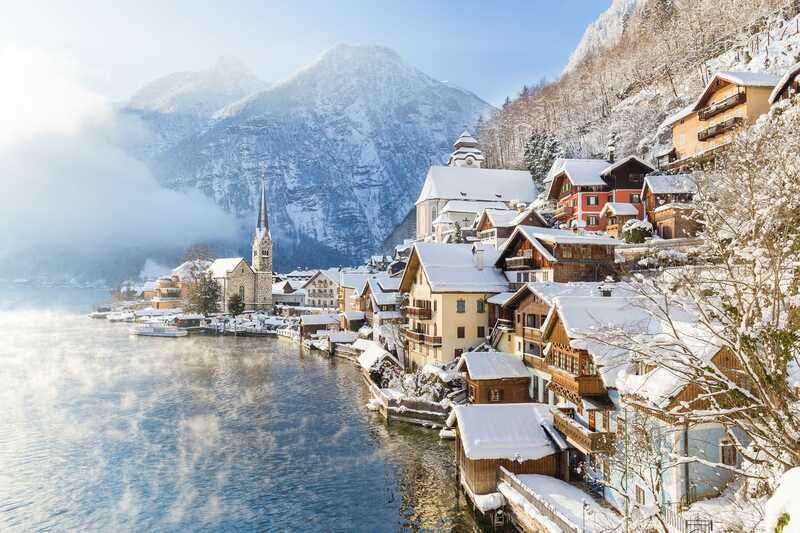 Some places in Europe look their most natural during winter, like the pretty little alpine town of Hallstatt. Sitting isolated by a lake, this small Austrian town is dwarfed by the nearby Alps that look like their truest self when gleaming with white snow. But what makes Hallstatt so special is its combination of majestic landscape and delightfully quaint alpine houses. Walking through town doesn’t take all that long, but you’re sure to find yourself stopping every few steps to admire the view in front of you. Made up of small alleys that work their way between traditional wooden houses, Hallstatt is wedged between the lakefront and the steep hillslopes behind. If you’re feeling energetic, consider hiking your way up to the Hallstatt Skywalk high above town for even greater sweeping views. Hallstatt is a very pretty place during summer and spring too, but winter elevates it to an unmissable destination. There’s no question that the city of Prague is one of Europe’s most grand. So, it’s hardly surprising how crazy busy the Czech capital gets during its warmer months. Funny thing is, Prague is just as compelling during winter and has a fraction of the tourists. This city of old world grandeur, architecture and culture may even look more atmospheric with a light dusting of snow than under blue skies. And while Prague is certainly a place of culture, its love for beer and partying means Prague is a fun destination as well. Enjoying the different local beers across the city’s many bars is enjoyable no matter the season. If you’re looking to warm up and drink some beer at the same time, Prague has you covered with its many beer spas, where you can literally soak up the local brews. Not to be forgotten is the city’s famous European Christmas market, where you can savor the city’s festive spirit with seasonal drinks like hot mulled wine and the local drink of grog. Great big capitals can be great to visit in winter, but their smaller, cuter siblings can be too. Take the Estonian capital of Tallinn, for example. Centering on a pretty walled old town, this is the historic core of Tallinn that most tourists stick to. While the short summer brings with it better weather for outdoor sightseeing, it can’t compare with the way winter brings out the best in Tallinn’s adorable cityscape. You’re in luck visiting this Baltic capital in winter as Tallinn takes on a picturesque, fairy-tale like quality. This is bolstered by the presence of the Old Town Christmas Market with heart-warming lights and a great big Christmas tree. The chance to go ice skating in a place like this is another reason to brave the temperatures outdoors. Truthfully, it can get really cold in Tallinn during the depths of winter, so no wonder locals like a good sauna and spa given the time. Of course, there’s always the option of curling up at a bar or cafe and watching the snow fall out the window. The festive season is near and dear to the hearts of Austrians, so visiting a major destination like Salzburg is a definite homerun. This time of year is one of the busiest for the city, with celebrations and festivals left and right. 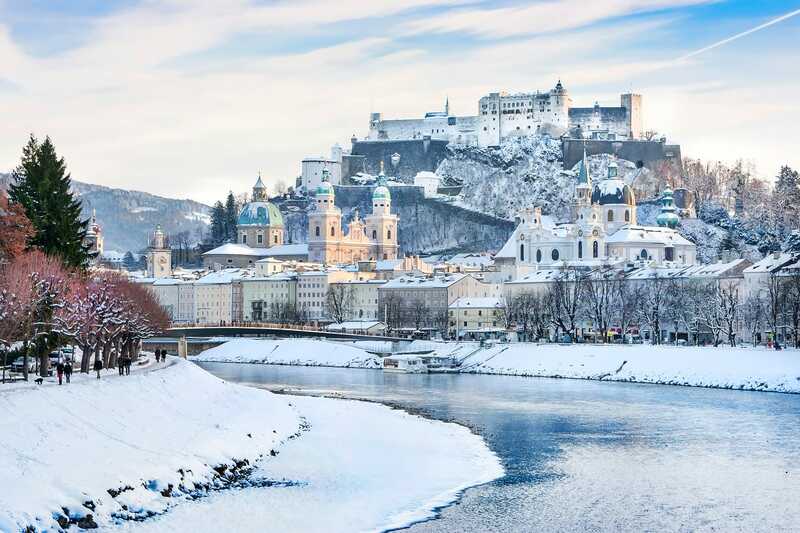 All of this builds upon the sightseeing classics like the Mirabell Palace, Hohensalzburg Fortress and the Old Town area with classical music wafting through the air. For starters there’s the Salzburg Christmas markets, where you can treat yourself to traditional gingerbread and spiced glühwein. Then there are the more unusual Austrian traditions associated with Christmas, like the pagan institutions of Krampus and Perchten which feature scary, demonic-looking beasts. For Silvester, the long-established holiday on New Year’s Eve, bring in the new year waltzing in the streets as fireworks rain down. Salzburg also enjoys the annual Winterfest circus carnival at this time of year, adding yet another dimension to this cultural experience. 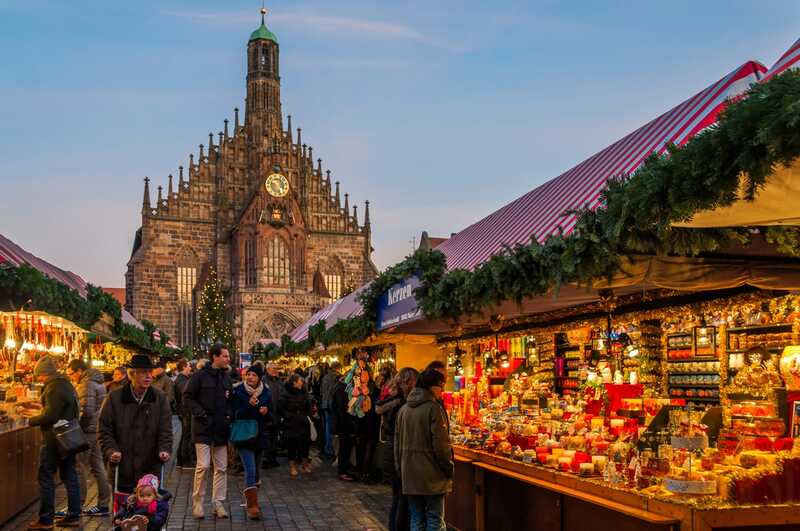 Europe is especially well known for its Christmas markets, and if Germany is considered to have the best, then the best of the best is found in the city of Nuremberg. This Bavarian city is home to one of the most famous Christmas markets in Germany, elevating a splendid medieval old town into a dreamland. A tradition dating back centuries, the Nuremberg Christkindlesmarkt has become a monumental festival of good cheer. With well over one hundred stalls to visit, you can shop and eat until your heart’s content. Traditional foods not to miss include everything from the simple bratwurst sausage to the addictive local gingerbread, lebkuchen. Both can be washed down with a rewarding glühwein, hot mulled wine that will leave you forgetting how cold it actually is outside. The Nuremberg Christmas markets don’t just sell food and drinks though. They have plenty of potential souvenirs and gifts on offer, from Christmas ornaments to other worldly knickknacks. 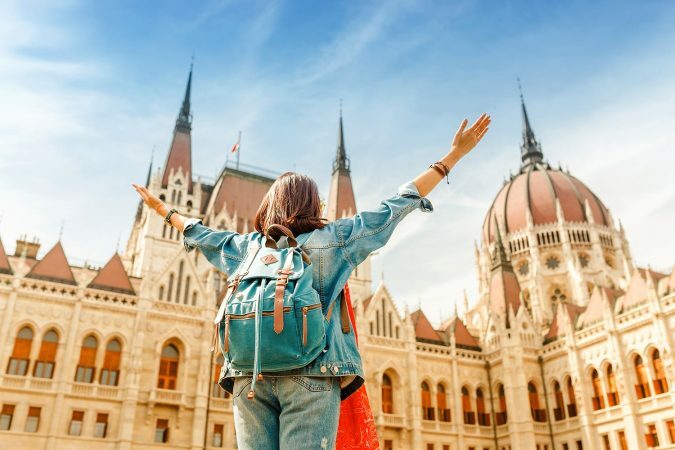 In recent years the city of Budapest has finally been recognized as the great destination that it is. Part of what makes the Hungarian capital so endearing is the way that it takes winter in its stride. You might think winter would limit what things there are to do in Budapest, but the city actually seems oddly suited to the short days of winter. Even one look at the magnificent parliament building illuminated at night will convince you of that. Budapest is quite famous these days for its large thermal baths, where people from all walks of life come together to soak. Good fun in the middle of summer, but come winter, they’re a god send as you stay warm below the water’s surface. Other ways to keep warm include hiding out in a grand old cafe or snacking on toasty treats like chimney cakes and other festive foods at local Christmas markets. Otherwise, do the opposite and embrace the cold with fun activities like ice skating with Vajdahunyad Castle in the background. Looking for somewhere special to bring in the new year? How about the effortlessly cool city of Barcelona?! A true city of culture, not only do you get to see this fantastic city, but you get to experience New Year’s Eve the Spanish way. That means gathering with locals to watch the fireworks and taking part in the tradition of eating 12 grapes at midnight for luck in the year to come. Of course, visiting Barcelona in winter has its other perks too. For starters, the city is a fair bit warmer than elsewhere in Europe, so spending time outside won’t be such a hard ask. Plus, coming in winter means you’ll avoid the high tourist numbers that have led to Barcelona’s overtourism problems. And really, the only thing you’re really missing out on with a winter trip is the beaches. Even still, it’s hard to be bored in a place like Barcelona. 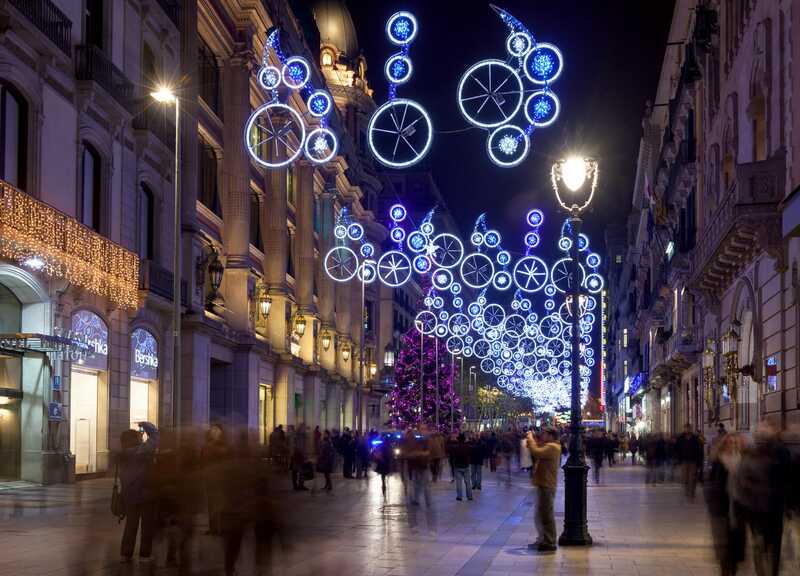 So, whether it’s wandering the Gothic Quarter or sampling tapas, a winter city break here is a great idea. For those excited about the coming of Christmas, why wait for Santa Claus to come to you when you can go to him instead?! By that I don’t mean the North Pole, but actually the small city of Rovaniemi in Finnish Lapland. Just outside Rovaniemi you’ll find the Santa Claus Village, official home to good ol’ Saint Nick. Almost right on the Arctic Circle, when you visit the village you can meet Santa, get a special stamp in your passport and hang out with some genuine reindeer. It’s hard not to get swept up in this fairy-tale place. 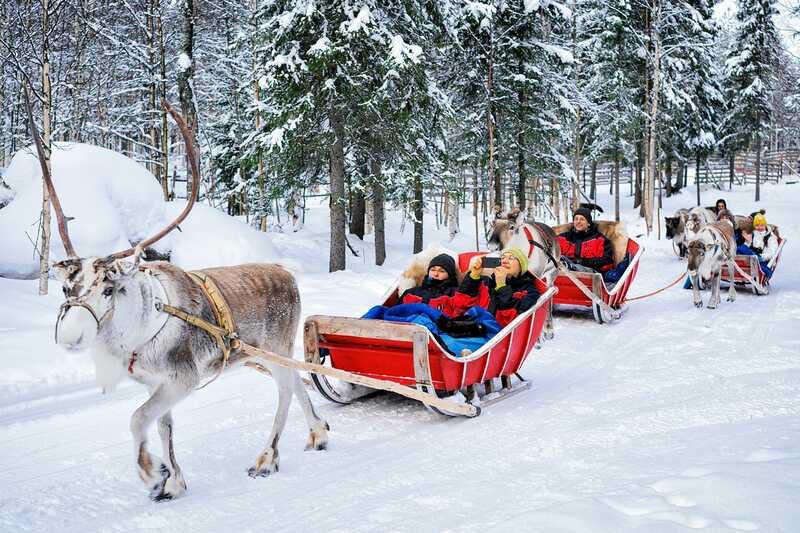 Besides spending time with Father Christmas, Rovaniemi has other activities too. To learn more about the region and the Arctic, head to the Arktikum Science Museum for an up close and personal look into culture, history, and nature. For something more adventurous, why not go sledding with adorable and energetic husky dogs? The city is another good place to venture out and hope to see the mesmerizing northern lights. 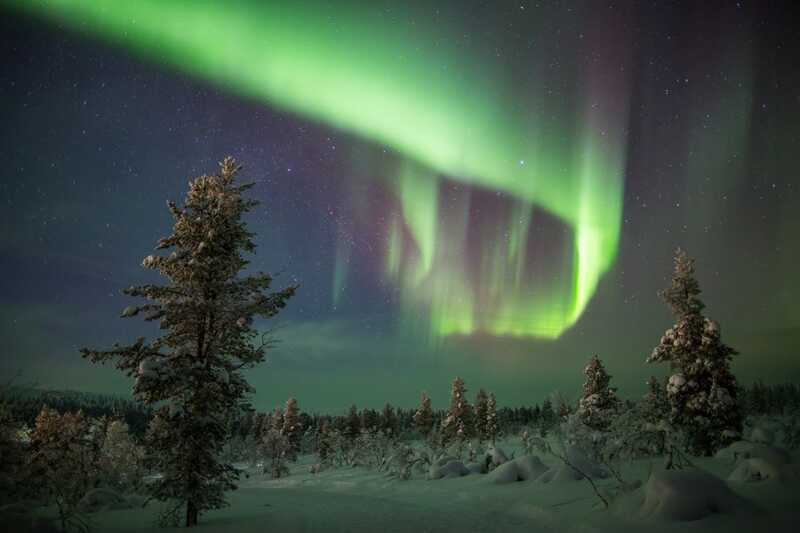 Rovaniemi is kind of the perfect place for all things Arctic and thus, one of the best winter destinations in Europe. Wintertime is an opportunity for a lot of different activities, but one of the most enchanting is watching the northern lights dance across the sky. For a prime spot to watch this unbelievable phenomenon, somewhere like Abisko is hard to beat. A tiny village in Swedish Lapland, Abisko sits north of the Arctic Circle, so you can bet it’s going to be frightfully cold if you visit in winter. It’s not the cold weather that makes it the best time of year to seek out the Aurora Borealis. No, it’s how close you are to the poles and the long nights that provide the best conditions for making out this magical light display. Abisko ticks both of those boxes. Once there, you need somewhere away from light pollution and cloudy weather, like the Abisko Aurora Sky Station, which was built for that exact purpose. Then it’s just a matter of looking up into the night sky and hoping that you get to see the magic happen. Some places just seem made for visiting in winter, like the resort town of Interlaken in Switzerland. While it sits in a valley, the town is close to plenty of high peaks in the Alps and is a popular destination for outdoor activities. After all, when the Alps are on your doorstep, you want to make the most of them, right? 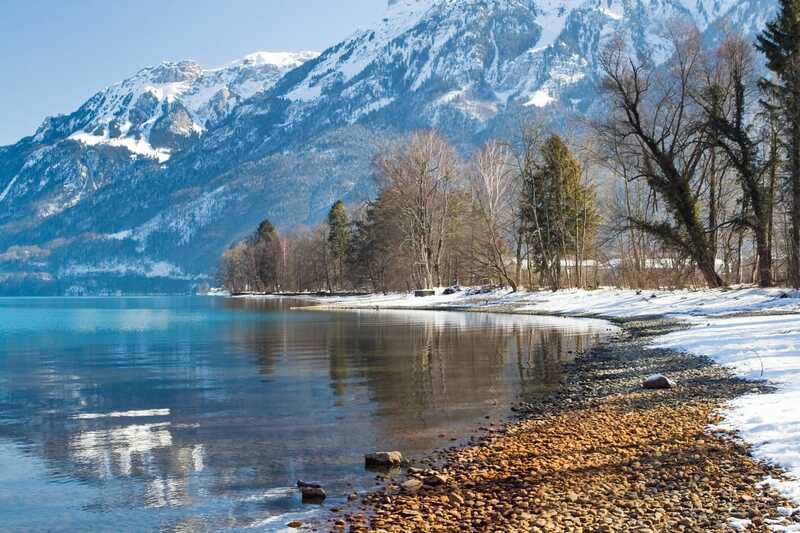 Interlaken offers the convenience of accessible mountain activities from the comfort of a town that has the facilities to cater to your every whim. 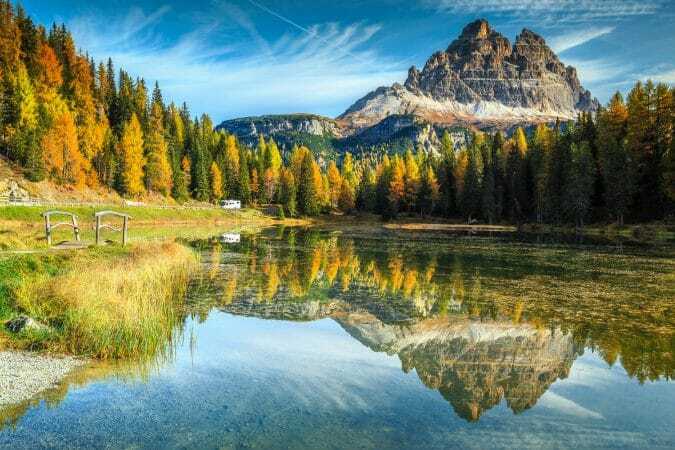 What’s great about Interlaken is that it has activities to suit all types of temperaments, from those looking for gentle fun to those who take things to the limit. At the milder end of the scale is the chance to head up into the mountains, visiting peaks like Eiger and Jungfrau. Then there’s all the fun to be had on the slopes, with snow sports like skiing and snowboarding. Finally, see the Alps from the sky with extreme sports like paragliding and skydiving. Whatever you choose, when you get back you can warm up again and indulge in Swiss treats like cheese fondue. Although you don’t need a good excuse to visit the city of Copenhagen, the festive season is probably as good as any. Denmark’s capital makes for an ideal setting to enjoy all the different elements that make this such a special time of year. The Danes love their hygge, and the onset of short and cold days pairs perfectly with that mood of cosy comfort. 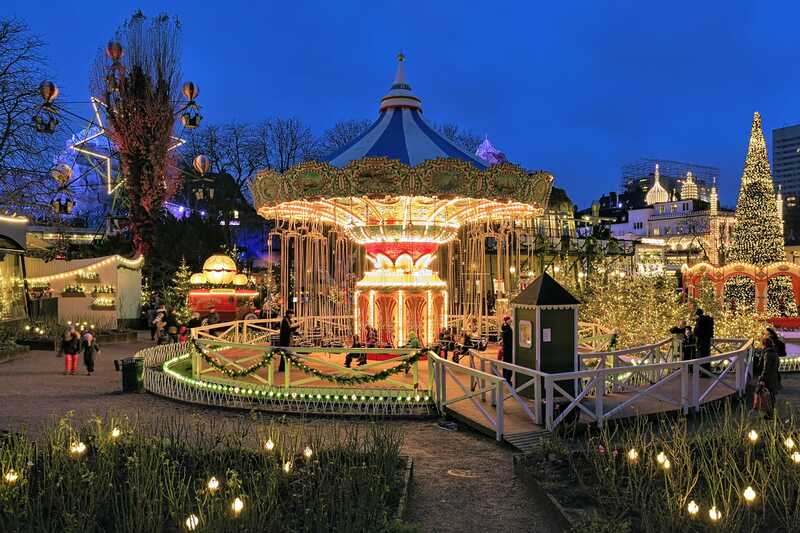 One of the best things to do in Copenhagen, the Tivoli Gardens amusement park is even greater fun than usual come winter. From special dazzling lights to its Christmas markets and all the festive foods found therein, you’re sure to find this seasonal spirit intoxicating – and I don’t just mean the warm mulled wine known as gløgg. Besides Tivoli, other places in Copenhagen that will charm you with festive cheer include the ever-brilliant Nyhavn and the ice skating rink at Frederiksberg Runddel. 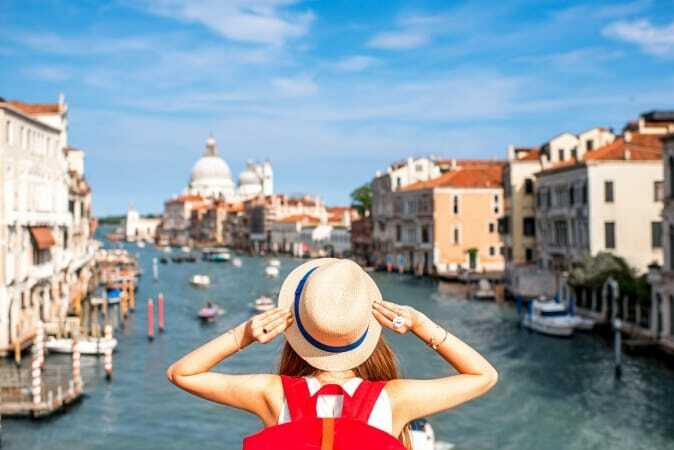 There are few tourist destinations in the world more popular than the floating city of Venice. So why not pick your moment and visit the Italian city of canals during its least busy time? After all, it seems fitting to visit somewhere nicknamed La Serenissima at its most serene. 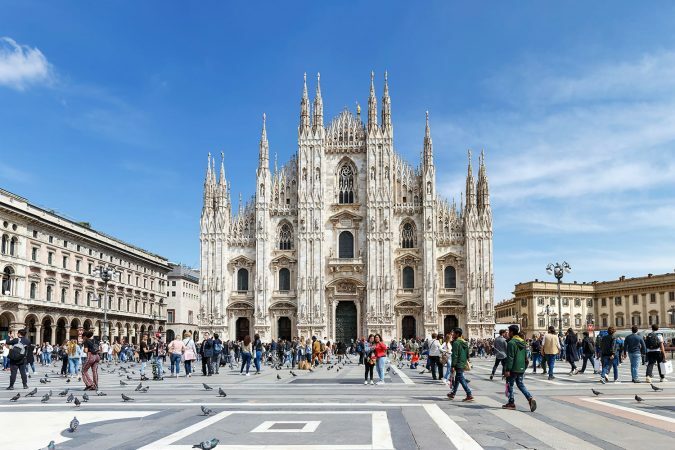 A trip to Venice in winter means not having to struggle past wave after wave of cruise tour groups as you wander along the city’s charming canals. The chaos of summer is replaced with an air of peacefulness, which is the ideal atmosphere for a leisurely city break. In truth, Venice isn’t quiet for all of winter. 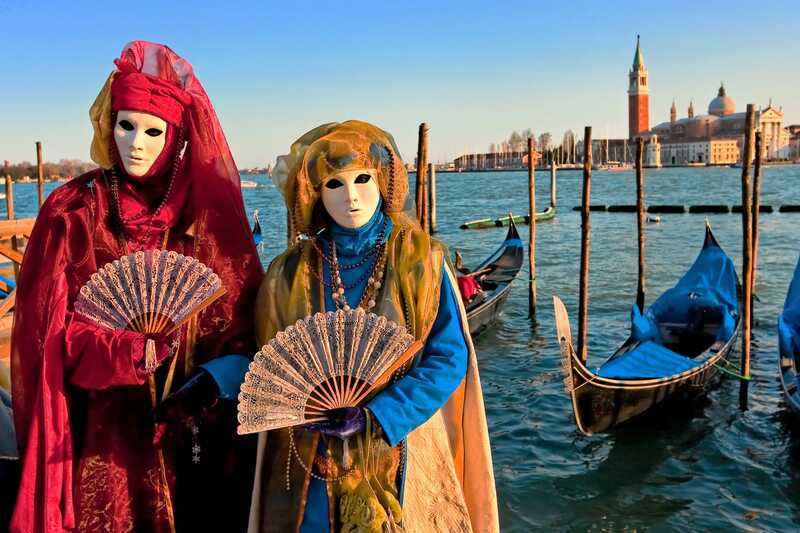 No, things switch gears when Carnival comes to town, a celebration that Venice has long been famous for. Witness parades of people dressed extravagantly pass by while wearing the ornate masks that are truly unique to the Carnival of Venice. An unbelievable festival in a destination that beggar’s belief is a pretty hard combination to say no to. It seems only fitting to visit somewhere called Iceland in winter, right? Surely, they know the best way to survive through winter and come out on the other side. Well yes, they do. 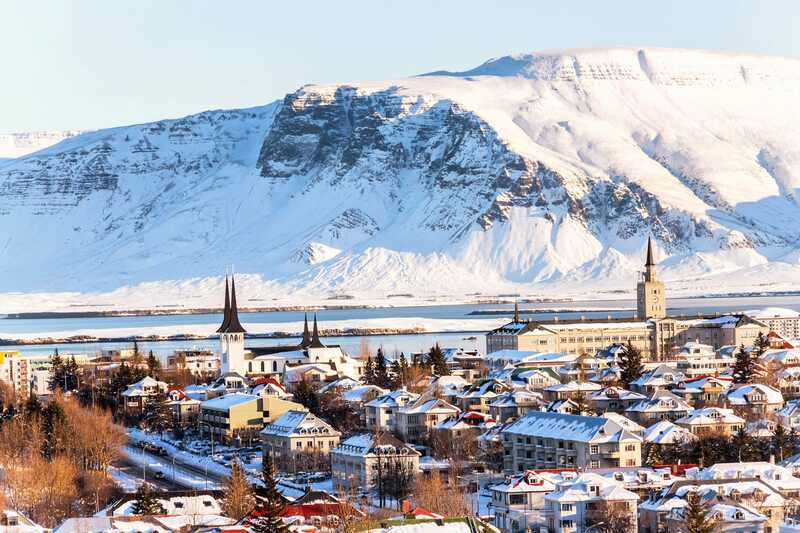 From the comfort of the island’s capital city of Reykjavik, you can hope to see Iceland at its icy best. Up by the Arctic Circle, the people of Reykjavik have perfected the winter experience. The city doesn’t just endure the winter, but locals embrace and celebrate it with the Reykjavik Winter Lights Festival. Held in early February, this free annual event is designed to coax people outdoors with imaginative and striking light displays. If you’re looking to warm up however, head to one of Iceland’s geothermal pools, like the ever-popular Blue Lagoon Spa. Here you can soak in the outdoors, letting the toasty mineral waters work their magic. And if the geothermal pools don’t do the trick, the local Icelandic schnapps ought to warm your bones. 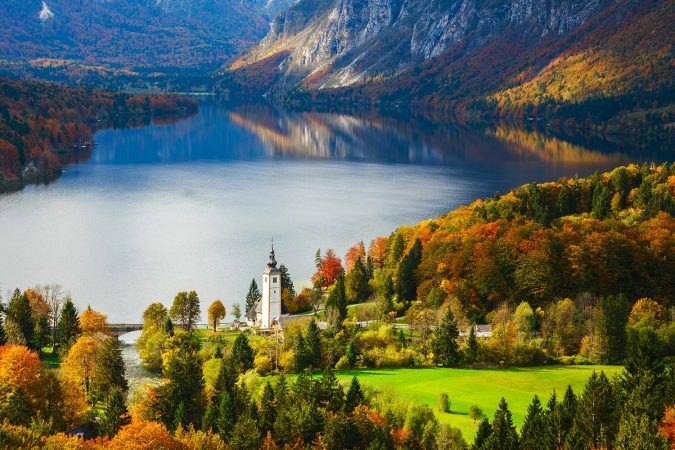 Slovenia is a country of endless beauty, but tourists mainly flock to picture-perfect Lake Bled. Truly beautiful year round, this alpine lake becomes a fairy-tale winter wonderland once winter comes. With views to the Julian Alps, Lake Bled is characterized by its crystal clear water, surrounding forest, clifftop castle and island church. It’s really just one postcard moment after another that results in this epic destination. Staying in the small town of Bled – where you must indulge in a Bled Creamcake – you’re right by the lake’s edge. With a walk or drive along the lakefront you can reach Bled Castle or Mala Osojnica for some spectacular views. To visit the island Church of the Assumption of Maria, either take a pletna boat or bravely walk there if the lake has completely frozen over; it does happen! 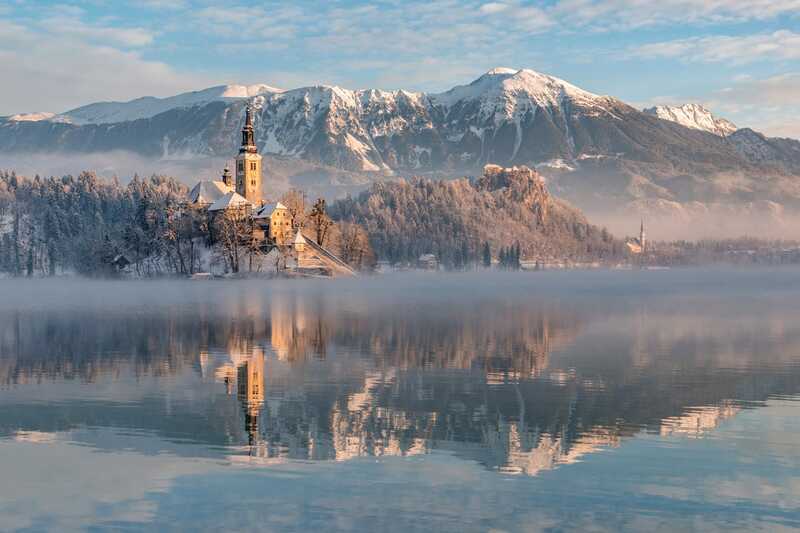 Whether Lake Bled is at its best during winter is debatable, but it’s hard to argue that it’s not magical when the lake is draped in the winter colours of blue and white. If you’re looking for a textbook winter holiday with winter sports and an alpine backdrop, look no further than Innsbruck. Positioned among Austria’s Alps in Tyrol, this city is made to be a winter destination. 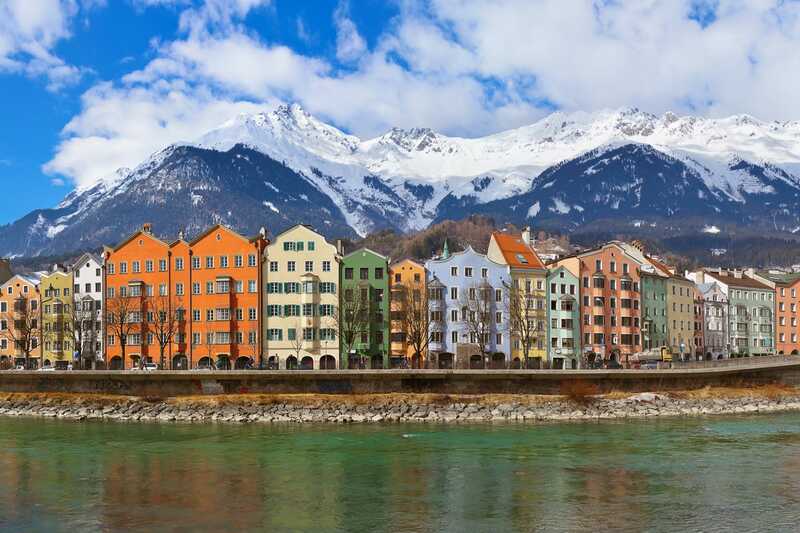 With its imperial architecture and impressive Baroque castle, Innsbruck could be just another great cultural city break. But its location means you have the best of both worlds – a welcoming city that offers immediate access to a winter sports playground. Whether it’s skiing, snowboarding, tobogganing or ice-climbing, the mountains and glaciers surrounding Innsbruck are there at your leisure. Plus, no matter your skill level, you’ll find something your speed. Even though Austria and Innsbruck are quite popular during the winter months, the sheer number of winter resorts in and around Innsbruck means you shouldn’t have trouble finding somewhere to stay for your winter getaway. One of Norway’s most popular destinations, the coastal city of Bergen looks its most natural come winter. After all, it’s Norway, you expect it to be cold and snowy. Found among fjords and mountains, Bergen is often where people base themselves to explore the magnificent vistas this combination of landscape features creates. With a fjord cruise, it won’t be hard to see why places like Bergen were used as inspiration for the movie Frozen. Even with snow covering the streets and the brisk outdoor weather, it’s possible to spend time sightseeing around Bergen. 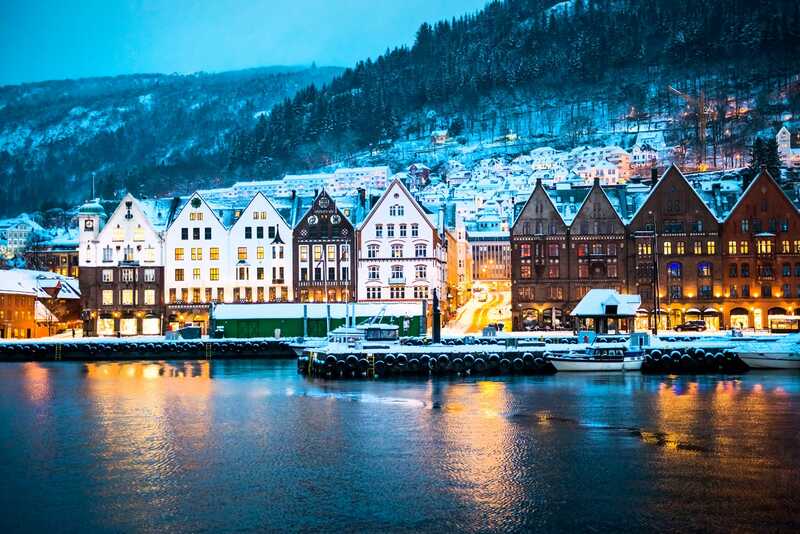 From the quaint waterfront buildings of Bryggen to the fantastic views found up at Mount Fløyen and Mount Ulriken, you won’t regret braving the cold to see Bergen like this. Up above the city, you can take advantage of the ample snowfall with both downhill and cross-country skiing. Alternatively, stay warm and cosy inside, munching on pepperkaker gingerbread with a nice mug of cocoa. Now, not every winter destination necessarily has to be a cold one. It’s just as good to escape the cold weather for somewhere warmer and get a break from shivering. For all that, there’s likely no better place than the Canary Islands. Resting off the coast of West Africa, these Spanish islands typically enjoy pleasant sunny weather while Europe freezes. And while other island destinations tend to close down during winter, you can be sure the Canaries will truly be open for business. 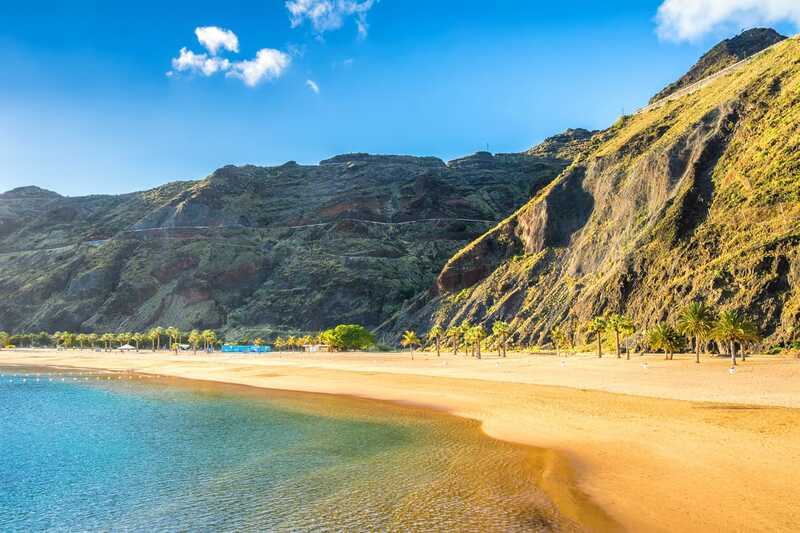 As for what there is to see and do in the Canary Islands, take your pick between lounging on a beach, playing in the water with diving and surfing or hiking across the islands’ memorable landscapes. Volcanic at heart, these islands enjoy varied terrains that include epic craters, sand dunes and ash fields. Basically, you won’t have any problem finding outdoor activities to take advantage of. When people think of France, there’s a good chance they picture places like Paris and the French Riviera in spring and summer. But France is a wildly diverse country and somewhere like Strasbourg, on the German border, works surprisingly well as a winter destination. An immensely pretty medieval city, Strasbourg is made up of charming half-timbered houses, impressive historic churches and scenic canals. Imagine an enchanting medieval town sprinkled with snow and there’s a good chance you’re picturing Strasbourg. 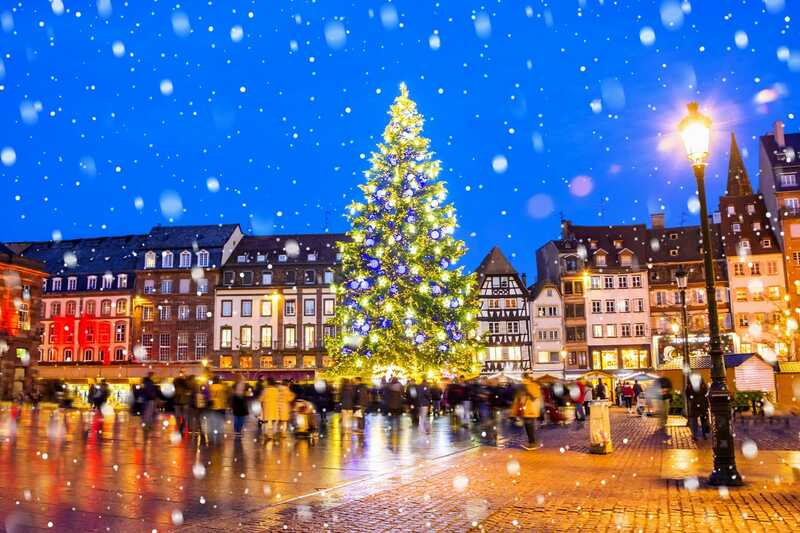 Proof that great Christmas markets exist outside Germany, Strasbourg’s has been running for centuries within its Old Town. Drawing greater and greater numbers of visitors, the Christmas markets offer up stalls selling handcrafts and warm drinks around a massive glittering Christmas tree. The rest of your visit can focus on sightseeing, with typical Alsatian scenery found in the small quarter of Petit France, the city’s most photogenic area. There’s good reasons why people traveling to Belgium make sure to visit the charming city of Bruges. This historic city combines all that is endearing and lovable about the Belgian region of Flanders – splendid architecture, scenic city canals and all the beer and chocolate you can handle. 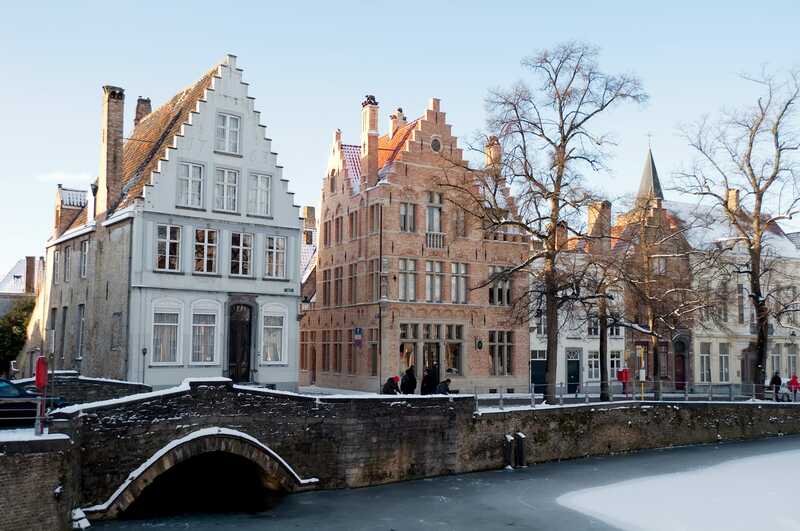 What’s great is that when visiting in winter, Bruges is just as enchanting but without the massive crowds. Maybe the only downside is that you won’t be able to experience a canal cruise during winter, but a trip along the cobblestones in a horse carriage is a nice alternative. Plus, Belgian cities like Bruges know how to do Christmas lights and decorations, building on the already marvellous atmosphere that it enjoys during the rest of the year. 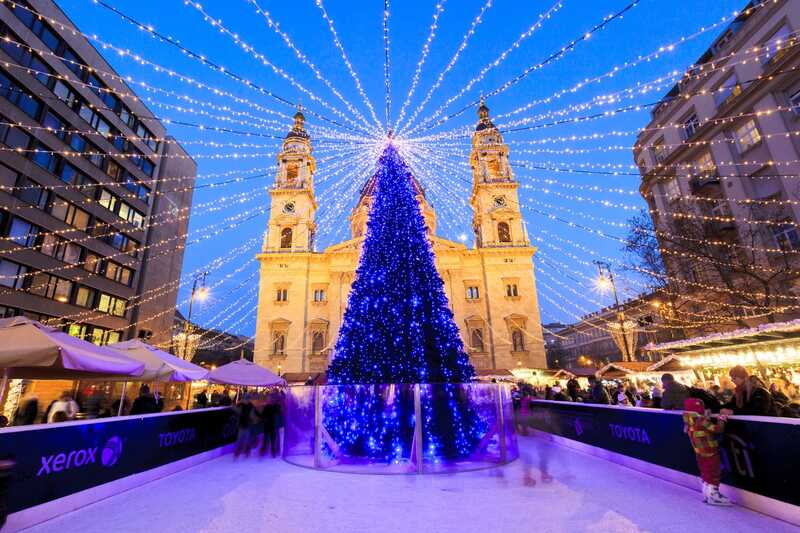 It’s hard to imagine the city’s main square, the Markt, looking even more delightful, but Christmas lights will do it. And whether it’s out at the Christmas markets or inside a warm beer cafe, there’s beer and gluhwein to drink and frites and waffles to devour. 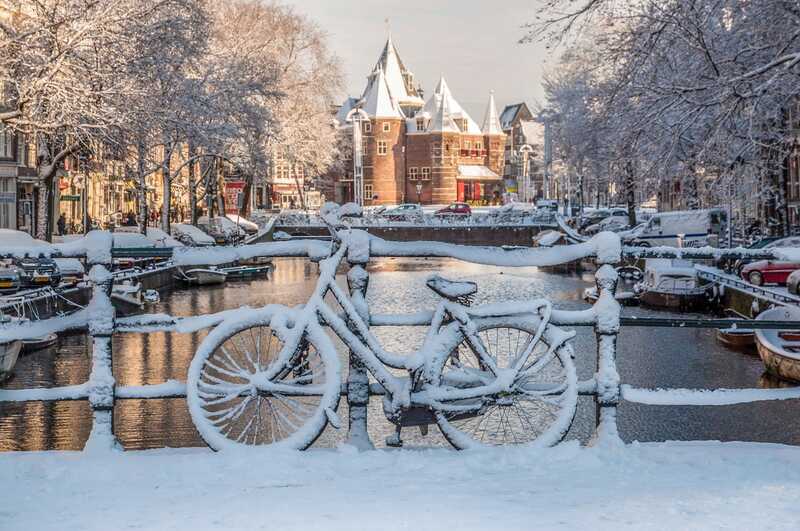 Any time is a good time to visit the city of Amsterdam, so why not make a winter visit. This ever-popular destination in the Netherlands always impresses with its picturesque canals, but winter somehow makes this city even more painfully beautiful. The Amsterdam Light Festival probably has a part in that, creating an even greater spectacle from this famous destination. Another spectacle worth catching is the Sinterklaas parade, where Santa sails into town among a flotilla of boats. Amsterdam certainly isn’t a destination that shuts down when winter rolls into town, canal boat rides continue even as the mercury drops. Of course, when the canals freeze over you’re better off strapping on some skates. The rest of the time there’s the major ice rink just outside the classic Rijksmuseum. And yes, while Amsterdam is often beloved for its partying, coffee houses and red light district, it’s also a city of culture too. Spending some time in the city’s world class museums and art galleries is clearly one way to beat the cold. 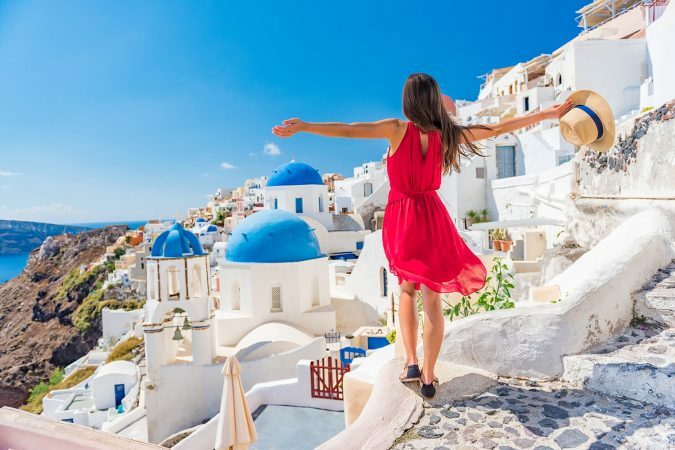 As you can see winter comes in many guises in Europe and I am sure one of these winter destinations has your name written all over it. No matter how beautiful a city is, a dusting of snow makes it even more amazing! Loved so many of these cities.